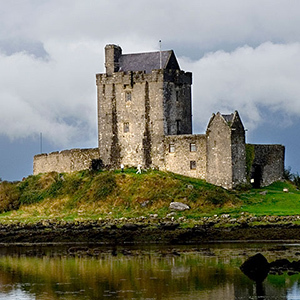 In the land of saints and scholars, delve into Ireland’s pre-Christian and Christian heritage. 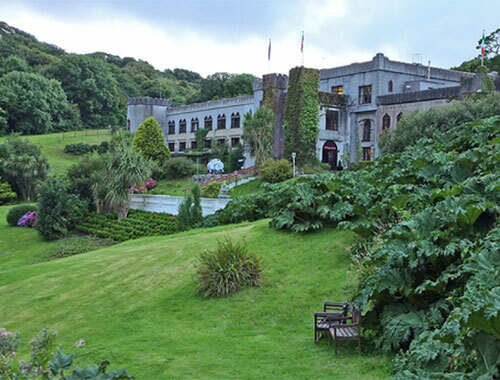 Against the backdrop of the Emerald Isle’s rare beauty, and in the comfort of deluxe hotels, experience a historical, spiritual and transformative journey on your special tour of Ireland. 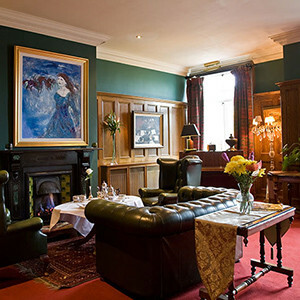 Tim and I had a wonderful trip to Ireland thanks to your wonderful suggestions and arrangements. Everything was just perfect. We truly had a wonderful trip and are grateful for your services. 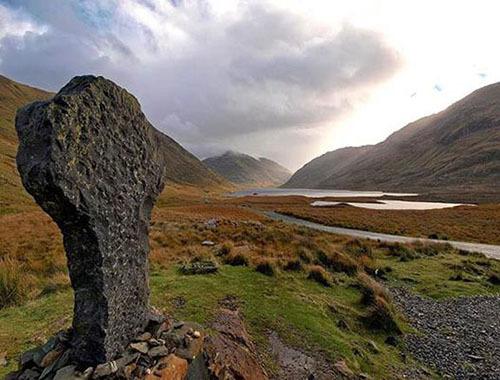 Immerse yourself in the ancient culture and rich heritage of Ireland on our special tour that focuses on sites of spiritual significance in Ireland. From the Rock of Cashel, the ancient crowning stone of Irish kings, to the holy mountain of Croagh Patrick, and from St. Kevin’s Bed and the Round Tower in Glendalough to the exquisite Book of Kells you will be inspired and elevated by these spiritual treasures set against the rare beauty of Ireland’s landscape. 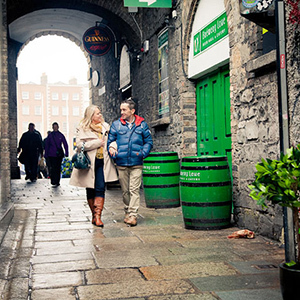 Depart the US on your overnight flight to Dublin, Ireland. Upon arrival in Dublin Airport you will be met by your driver in the Arrivals Hall. 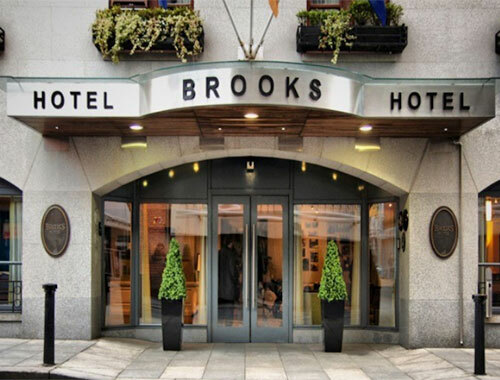 Enjoy your private transfer to Dublin City for a 2-night stay at Brooks Hotel. Settle in today and become familiar with your new surroundings. 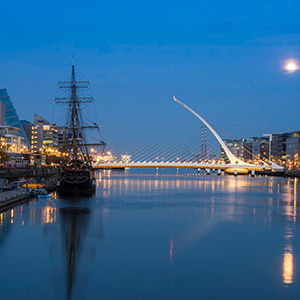 Dublin is a dynamic capital city, with a proud colorful past and a thriving present. Visit Trinity College and view The Book of Kells, a beautiful illuminated manuscript dating from around 800 A.D. composed of the four Gospels, and transcribed by early Christian monks. It is widely regarded as Ireland’s finest treasure. We highly recommend purchasing a 2-day pass for the ‘Hop-on, Hop off’ double decker tour bus. 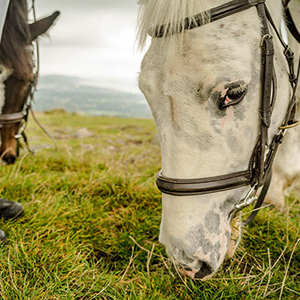 It’s a great way to get around and see all the best sights. 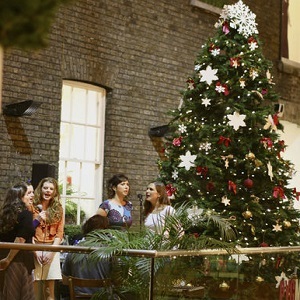 Highlights include: The Phoenix Park, the largest city park in Europe and site of Pope John Paul II’s Mass to over one million people in 1979, St. Patrick’s Cathedral, Christ Church Cathedral, Dublin Castle, The Dublin Writers Museum, The National Gallery, St. Stephen’s Green, and much, much more! 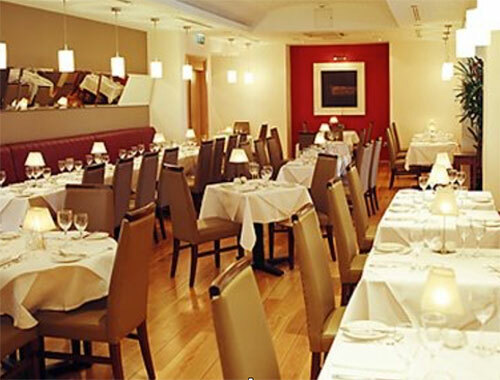 In the evenings, enjoy the array of fine restaurants available on your doorstep. Pick up your rental car or meet your private driver guide this morning and drive south out of the city. Travel through the beautiful mountains of Wicklow, otherwise known as the ‘Garden of Ireland’ to Glendalough, site of an ancient monastic city established in the 6th century by St. Kevin. Set in the heart of “the valley of the two lakes” (Gleann da Loch), Glendalough was a very important center of learning as well as a pilgrimage destination. You can still see St. Kevin’s Bed, an artificial cave on the south side of the lake and originally a Bronze Age tomb, which St. Kevin took as his hermitage when he first came to Glendalough. St. Kevin lived the life of a hermit for 7 years, and the legends and stories that surround him highlight his love of nature and animals. He is often compared to St. Francis of Assisi. 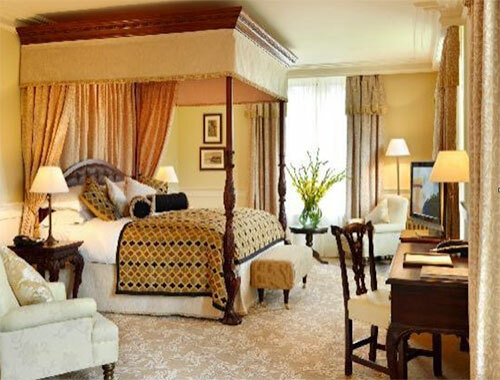 After your visit to Glendalough, continue south to Kilkenny for an overnight stay in The River Court Hotel. 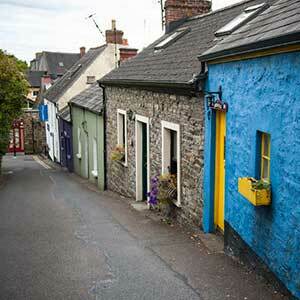 Kilkenny is Ireland’s finest example of a medieval town. 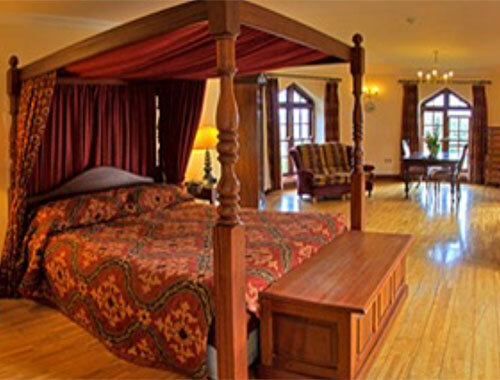 Explore the majestic Kilkenny Castle & Gardens, and visit St Canice’s Cathedral and Round Tower. 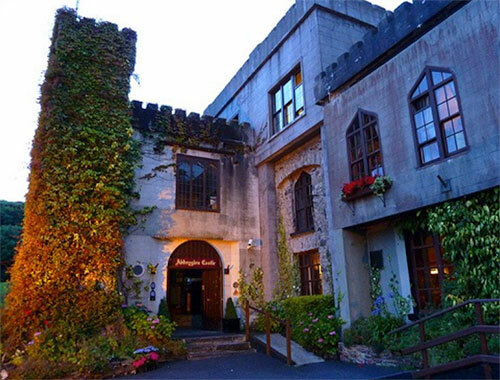 Afterwards you might like to pay a visit to the Kilkenny Design Centre for Ireland’s finest selection of handmade crafts including ceramics, knitwear, jewelry, and much more. Depart Kilkenny at your leisure this morning and drive a short distance south to the Rock of Cashel in Tipperary, standing high in the middle of the “Golden Vale”. 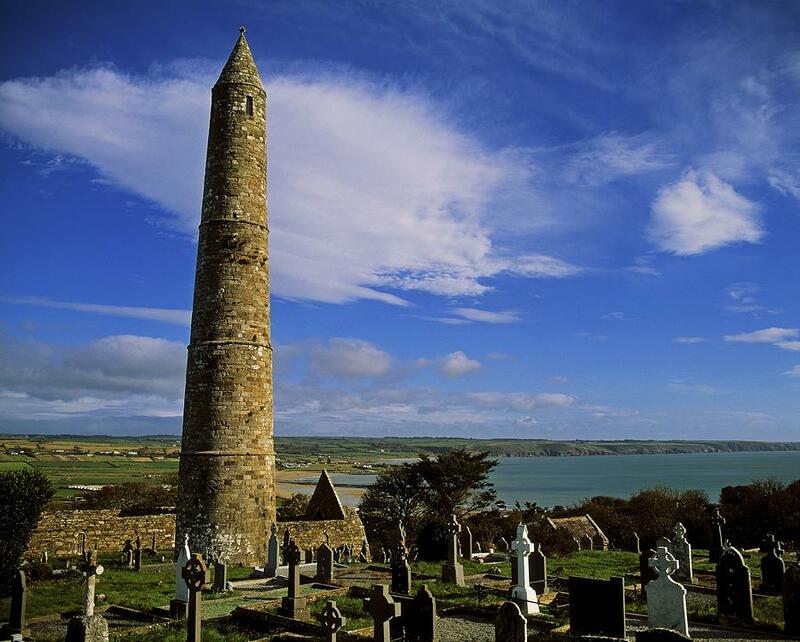 These religious buildings, dating from the 12th century, form the most spectacular medieval setting in Ireland. The Cathedral, the Round Tower and Cormac Chapel, which is the first Irish Romanesque church, testify to the importance of the site. 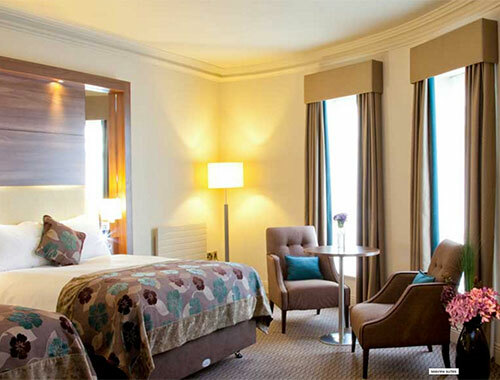 Continue south towards Killarney, County Kerry for a 2-night stay in the Aghadoe Heights Hotel & Spa. Today we suggest you drive along the ring of Kerry to Portmagee where we recommend taking a ferry to the Skellig Islands (weather permitting). The magnificent Skellig Islands lie 8 miles off the coast of South West Kerry. Rising majestically from the Atlantic Ocean, Skellig Michael towers 714ft above sea level. 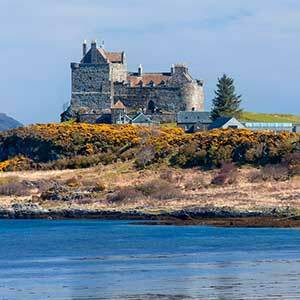 On the summit of this dramatic spit of rock, you will find the remarkably well preserved sixth century monastic settlement. The earliest reference in history to the Skellig Islands dates back to 1400BC. Skellig Michael was the chosen destination for a small group of ascetic monks who, in their pursuit of greater union with God, withdrew from civilization to this remote and inaccessible island. Sometime between the sixth and eight centuries, a monastery was founded on this precipitous rock resulting in one of the most dramatic examples of extreme Christian asceticism. 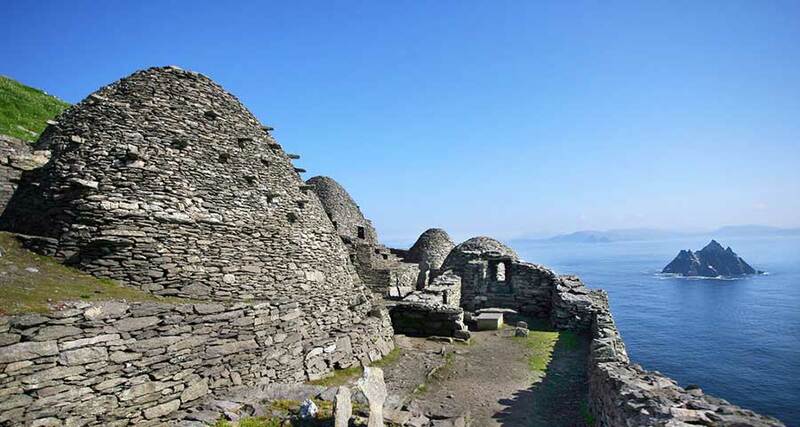 Visiting Skellig Michael is a most magnificent experience, and an inspirational spiritual journey. If the weather is too wild for the ferry, you can choose to tour the Dingle Peninsula, the most northern of the Kerry peninsulas. From Inch, where David Lean made his classic movie “Ryan’s Daughter”, continue along the Eagle Mount and the cliffs of Slea Head. 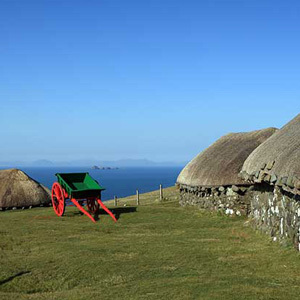 Discover Gallarus Oratory, an Early Christian beehive hut, and an example of one of the isolated locations that monks at that time sought to inhabit. The oratory, the place of prayer for the monks, dates from the 9th century, and reflects the high quality of the construction of the beehive church. The next stop is Kilmalkedar Church, built in the 12th century in the Romanesque style and once part of a complex of religious buildings. Drive north to Adare and Limerick today. 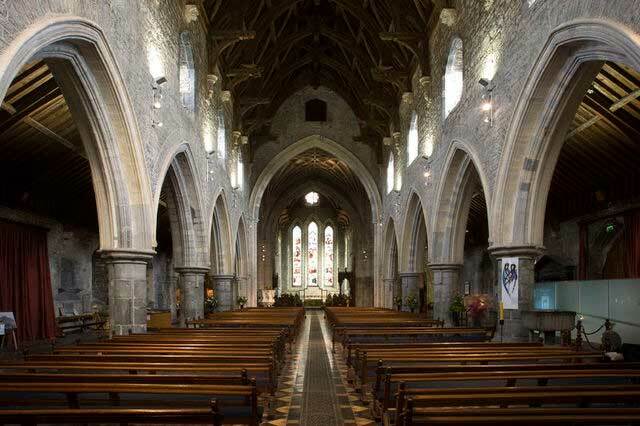 Maybe you would like to visit St. John’s Cathedral in Limerick for Sunday Mass. 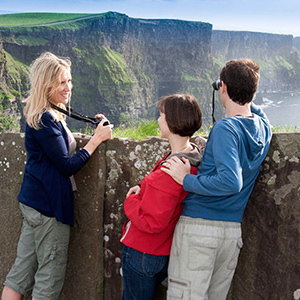 Continue on and visit the spectacular Cliffs of Moher, soaring 700 feet above the Atlantic Ocean. Drive north and explore the vast limestone lunar-like landscape of the Burren region, dotted with ancient Stone Age altars and burial chambers, and unique flora and fauna. 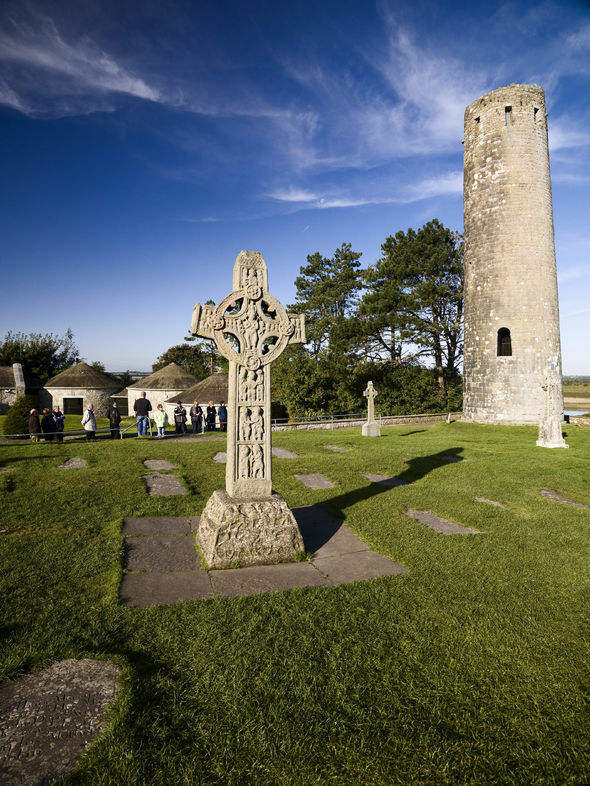 Afterwards continue to County Galway and visit Clonmacnoise overlooking the Shannon River and one of Ireland’s most important monastic sites. Founded by St. Ciaran in the 6th century, Clonmacnoise consists of a walled field containing numerous early churches, high crosses, Round Towers and graves. It is a place of unique spiritual splendor. 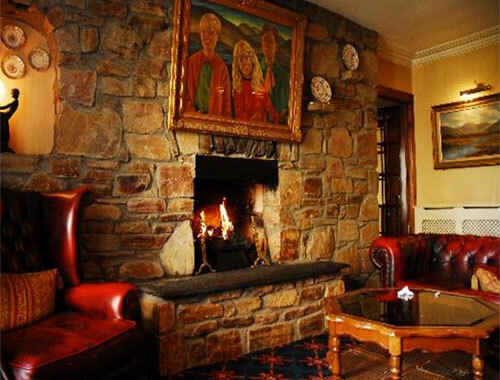 Enjoy an overnight stay in Abbeyglen Castle in the heart of Connemara. 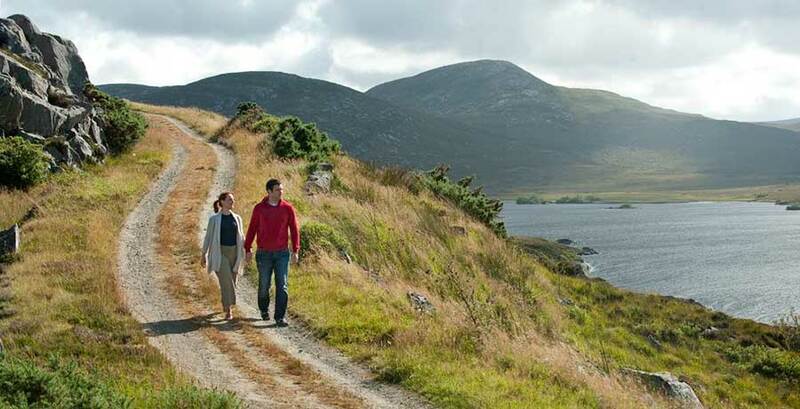 Explore the magnificent Connemara region today. 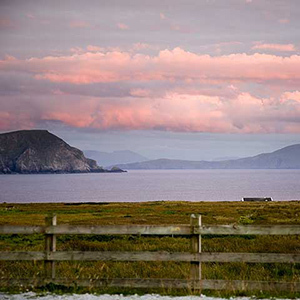 From the rugged Twelve Bens mountain range to the golden beaches along the Atlantic Ocean, Connemara will enchant you as the light constantly changes the mood of the landscape. Drive through Leenane and the beautiful Delphi Valley, an area devastated by the famine in the 1840’s. 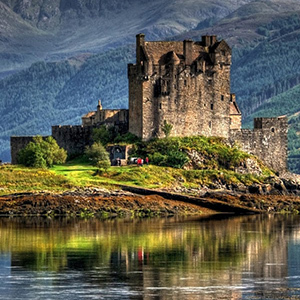 The scenery and history of this region will leave you in awe. Continue on to visit Knock and its shrine situated in the plains of East Mayo. It is one of the world’s leading Marian shrines. On 21st August 1879, at about 8 o’clock, fifteen people from the village – women, men and children – witnessed an Apparition of Our Lady, St. Joseph, St. John the Evangelist, a Lamb and cross on an altar at the gable wall of the Parish Church. Visit the Basilica, the largest church in Ireland, and the award-winning Knock Museum. Knock is a very popular pilgrimage destination; indeed one of its most notable visitors was Pope John Paul II in 1979. Situated eight kilometres from the pretty Mayo town of Westport, is Croagh Patrick, Patrick’s Sacred Mountain, its conical shape soaring majestically above the surrounding countryside. Follow the steps of St. Patrick on the Pilgrim’s Path and in doing so meet people from all over the world, as well as locals. 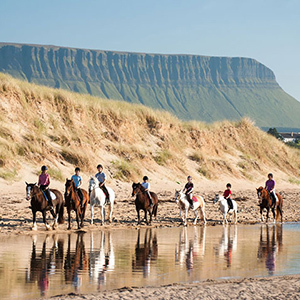 Travel through Sligo, made famous by the renowned Irish poet W.B. Yeats. Visit Carrowmore Megalithic cemetery, not far from Ben Bulben Mountain. The cemetery is one of four major passage tomb complexes in Ireland, located in the heart of a peninsula bounded by water on three sides. Twenty seven monuments remain today in varying states of preservation, and the remains of at least 65 are known, although it is thought there may be up to 100 Megalithic monuments at Carrowmore. 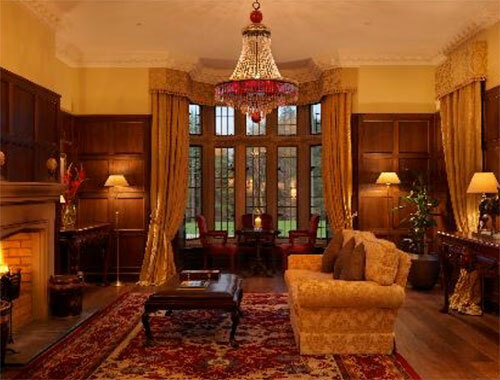 Continue north to Donegal for an overnight stay in Lough Eske Castle. Drive north to Derry-Londonderry this morning. Derry is the only completely Walled City in the British Isles. 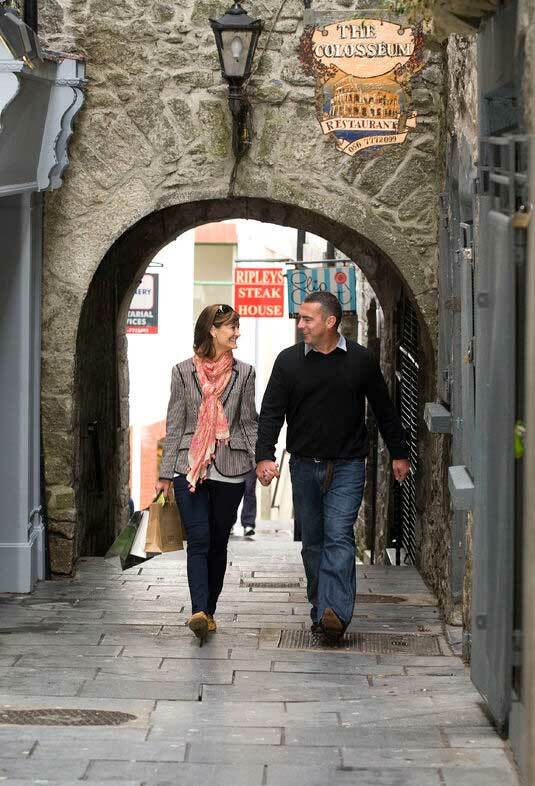 Its 17th century walls provide the platform for uncovering over 1,450 years of history whilst embracing a modern pulse of life through its many galleries, restaurants, shops, cafés and pubs. 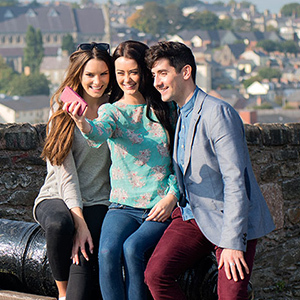 We highly recommend taking a guided walking tour in Derry to see O’Doherty’s Tower and the Tower Museum, which tells the story of the town from the days of St. Columcille to the present. After your visit to Derry, continue on to the UNESCO World Heritage site, The Giant’s Causeway. Why not dare to cross the Carrick-a-Rede Rope Bridge or visit Dunluce Castle? 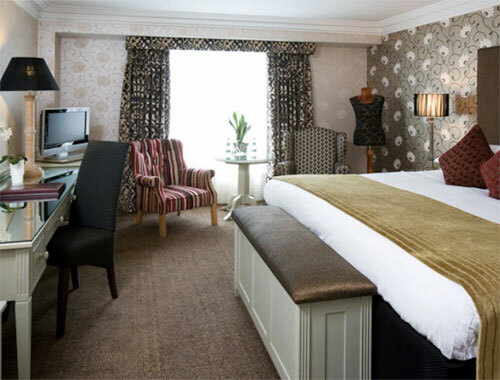 This evening you will enjoy an overnight stay at the Bushmills Inn. Today, drive south to Downpatrick believed to be the burial site of not only St. Patrick but also of St. Brigit and St. Colmcille. In Saul, only a few miles from Downpatrick, St. Patrick established his first church and from here transformed Ireland into the ‘Island of Saints and Scholars’. The Norman conqueror, John de Courcy recognized the importance of the site after the discovery of relics of the three great saints in 1183, and invited Benedictine monks to establish a monastery in Down. Parts of Down Cathedral are part of that original monastery. Enjoy a visit to nearby Struell Wells, about a mile from Downpatrick, a set of four holy wells said to have been blessed by St. Patrick himself, and a popular pilgrimage site from 1600s to 1840. 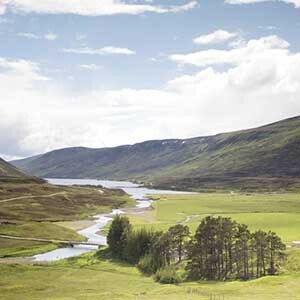 If weather allows enjoy a tranquil walk in their surroundings. Drive south to County Meath to visit Newgrange, the UNESCO World Heritage site, and place of huge spiritual and historical importance. This prehistoric monument and megalithic Stone Age passage tomb was built about 3200BC during the Neolithic period, which makes it older than Stonehenge and the Egyptian pyramids. 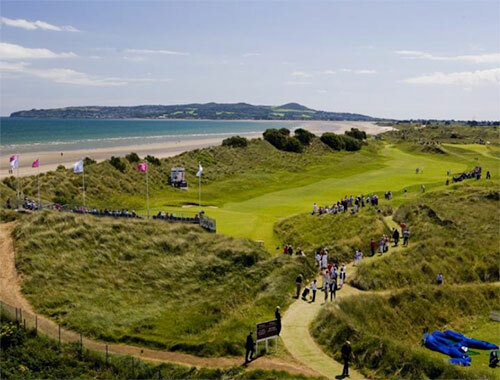 Continue south to County Dublin for an overnight stay at the Portmarnock Hotel & Links. 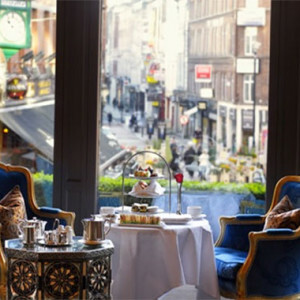 After an early breakfast, transfer to Dublin Airport, and prepare for your return to the United States. Slan Abhaile! 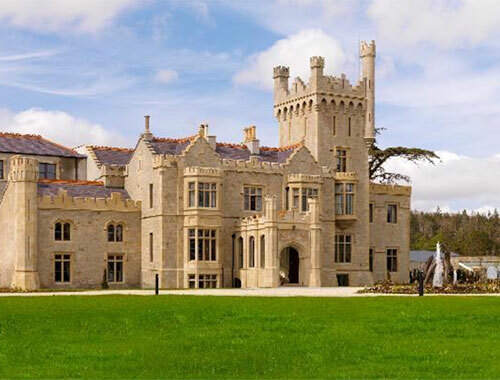 Lough Eske Castle, a five-star castle hotel & Spa is located on a secluded lakeside estate just outside Donegal Town, has a rich history dating back to the 1400s being associated with the O'Donnell Clan, the founding fathers of Donegal, a county in the north-west region of Ireland. 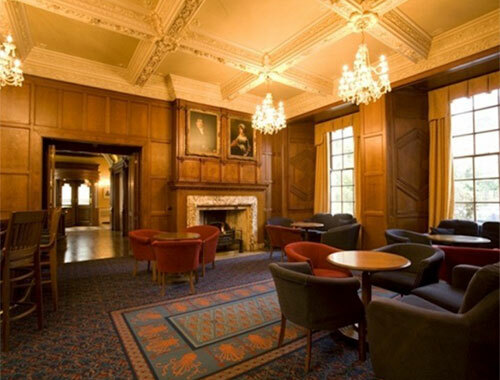 This is an historic building set in a storybook location delivering superior hospitality and comfort and is the ideal place for those who simply want to relax and unwind. It is the perfect base from which to explore all the area has to offer. 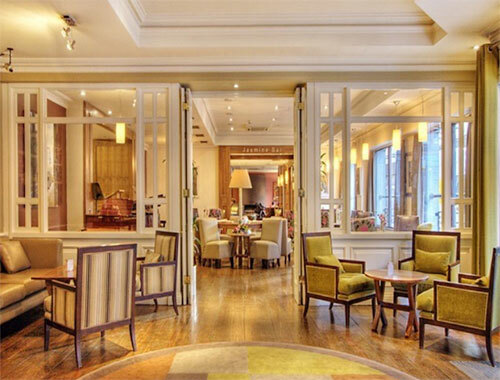 From the moment you arrive at the Portmarnock Hotel, the friendly staff will take care of your every need. This leaves you free to walk on the award-winning, magnificent ‘Velvet Strand’ beach, enjoy pampering in the health & beauty clinic or dine on delicious, locally sourced cuisine. 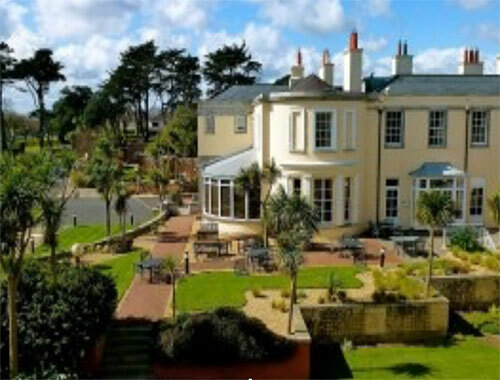 This 4 star hotel, combines modern elegance with all the grandeur of a 19th century home, which overlooks the Irish sea. 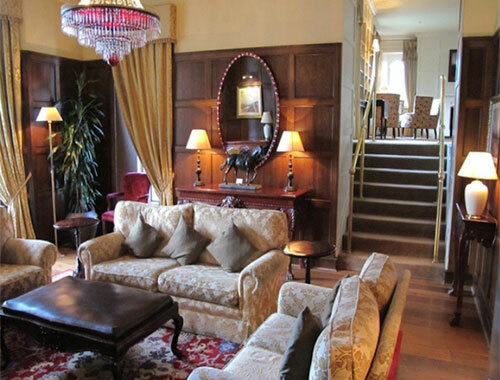 The property was once owned by members of the Jameson Whiskey dynasty. Plugs in Ireland are three-pronged, the same as in the UK and the electricity supply is also 230v. Adapters are widely available and its a good idea to bring a couple for your various gadgets.